So as all of you have seen in the past few years, most of my discovery and embrace of black metal has followed what I'd describe the 'hipster-path' into the genre. Yeah, I was listening to prog metal and power metal ahead of time that laid some of the groundwork, but it was the more atmospheric stuff that hooked me and even then, it was never 'pure' black metal that truly won me over, instead more material in the vein of Panopticon or Saor that was crossbred with other genres. But hey, that happens - you start building up your lexicon of what you like in the genre, you revisit the classics when you can, you do your best to avoid the more obnoxious of the fandom... and yet when I was prepping to review Astronoid and going back to revisit their 2016 breakthrough Air, I had a real sinking feeling, mostly because this is exactly the sort of accessible 'crossover' project that could have grabbed me three years ago, but leaves me colder now. The most common comparisons have been Devin Townsend and atmospheric black metal acts like Deafheaven and Alcest, grabbing the clean production and vocals of the former and the furious blast beats and tremolo picking of the latter... but there was something that felt oddly anodyne and calculated about Air, capturing the tones to serve as one of those bridge acts, but little of the instrumental dynamics or hooks that made their inspirations so special. And while its tones meant I was inclined to like Air - certainly explains the critical acclaim - it wasn't one that really stood out to me, or stepped into the realm of greatness. So was this just a case of me only gravitating to the heavier, more visceral acts in black metal these days, or was Astronoid just not one of those acts that could resonate with me? Well, for further evidence I checked out their self-titled follow-up this year, which somehow is getting even more critical acclaim - did it deliver? Well, here's the thing: this is the sort of album where, again, I can completely see why it's getting critical acclaim and I'll even acknowledge it's a definite improvement from their debut... but it's the sort of project where I'm not sure the minor fixes have gotten to the roots of the larger issues I have with this group, and thus I'm stuck with an album that I might like a little more, but one that's not moving me nearly as much as I'd like. And again, it's a bit of a struggle to pinpoint whether this is an issue with my own changing preferences with this kind of metal, or whether they're continuing issues with Astronoid as a whole... and I'm getting the sinking feeling it might be some of both. So let's start with the instrumentation and production, where if you want to pinpoint where the most changes have come since Air, it is here. The band said they were looking to rebalance their tones towards giving the Mew-esque multi-tracked vocals a little more presence, try to lessen the tonal clash that could occasionally emerge on the last project between the more ethereal atmospherics and the blast beat drumming. But even the drum patterns differ pretty significantly from Air - the blast beats can still come in, but the progressions are more complex and are not so quick to rely on raw density, which could occasionally interfere with those melodies. And with a thickening of the bass grooves and a few more guitar solos to back up the more prominent vocals, it's absolutely true that the hooks are at least better, and even the more deliberate synthetic transitions like the sizzling pop on 'Beyond The Scope' translate better than I expected. All that Astronoid would need to really stick the landing for me would be a sense of dynamics to make the atmosphere or crescendos stick... and this is where we hit the larger sticking point with this album and indeed one I've had with the band as a whole. Look, if you're going to build the majority of your progressions off of chugging grooves and the rhythm guitar than driving melodies in your lead, you need a sense of contrast or at the very least effective transitions between instrumental passages to give those soaring moments presence, and yet more often than not, Astronoid slips into a comfortable cadence that can certainly be agreeable on a tonal level, but doesn't modulate the way it should. It almost makes you wish there'd be a passage that was purely acoustic or just opted for a shimmering tremolo riff or even a synth solo, if only to differentiate between songs directly - again, I haven't referenced many individual tracks because there's just not much to tell these apart! Now that's not saying there aren't moments that feel distinctive - whenever we get guitar solos on songs like 'A New Color','Fault', and 'I Wish I Was There While The Sun Set', they add some splash I really appreciate, the bassline driving the more reserved 'Lost' sounds solid even if I'm not convinced Astronoid can convincingly deliver a darker palette - also an issue on 'Fault' - and even if I'm not really fond of the runny synth passage on 'I Dream In Lines' and some of the vocal production on 'Water', the hooks stand out well. Shame I can't say much about the lyrics in the same way... and if I want to highlight a place where I really struggled with Astronoid, it was here, mostly because it's the sort of writing that's simplistic in its word choice but frustratingly abstract in the idea that it wants to convey, not helped by grammar that is structured to fit the rhyme scheme than any consistent sense. And there's a place where writing like this can connect - it's impressionistic, trying more to capture an effervescent feeling than a concrete idea with lyrics trying to capture a vaguely hopeful, soaring vibe... or so you might think. Sure, songs like 'A New Colour' and 'Breathe' seem to fit the mold or at least seem a bit straightforward, but then you get songs like 'I Dream In Lines' which seems to be an unapologetic breakup song or the contradictory attempts at reconciliation across 'Lost' and 'Water' or the seeming self-flagellation of 'Beyond The Scope' or how much 'Ideal World' almost seems like a sick joke at the expense of itself... it almost gives you the impression that Astronoid is taking the piss out of its own soaring vibes! But when you have vocals that seem to be selling all of this with complete sincerity and not a lot of dimensionality either, it leaves you questioning how much this album might be trying for a zen nihilism that certainly has an appeal, but doesn't seem to want to demand much thought. Or it's approaching all of these darker ideas and moments with the sort of devil-may-care attitude and pure sincerity with an ignorance-is-bliss attitude, and I guess there's room for that - the frontman has admitted that was a lyrical theme underscoring Air and I can definitely hear it, and one of my favourite songs last year 'Fool's Paradise' by Poets Of The Fall was all about a similar heady rush for all the wrong reasons. But I dunno, I'm not sure the writing quite coalesces enough to fully drive it home there... and honestly, that might sum up my feelings on Astronoid as a whole. It certainly fills a niche and I do think it has a bit more dimensionality that some have given it credit, but those moments often only serve to subvert its own strengths, which can lead to a bit of a weird listen, and that's not even getting into the continued lack of dynamics that make those strengths so much more vulnerable. But still, on a tonal level I can certainly hear the appeal and I did like this more than Air... even if on some level it's playing in a lot of the same territory that album did just with a corrected palette. But even with that... there was never a moment I actively disliked or any real gaping flaws, there's a consistency that nudges this up to an extremely strong 6/10 - would have been higher, but it didn't quite have those standout moments. 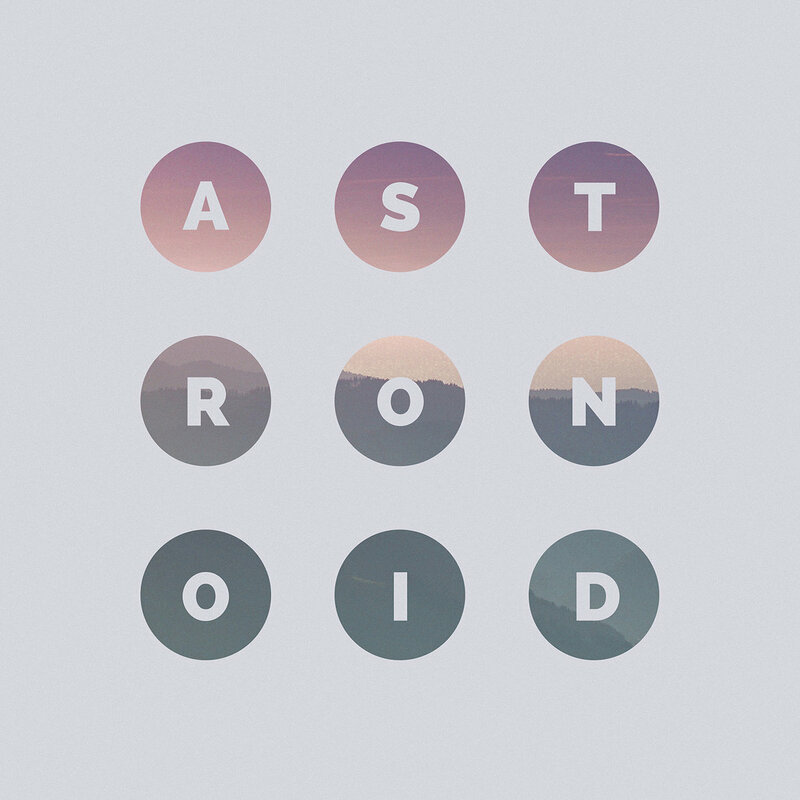 But again, if you're looking for one of those albums that's a serviceable gateway into this brand of metal, Astronoid could fit the bill, so if you're curious... eh, worth a listen.